No words can express my gratitude and sincere appreciation for every single day my mom was in your care. I saw firsthand (on a daily basis) what an outstanding care facility you have. I am always impressed with the cleanliness of your facility, the excellent nursing care and great rehab services you offer my patients. 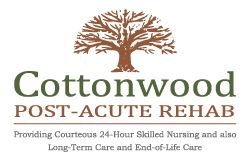 Patients I have sent to your facility have always returned to me thanking me for sending them to Cottonwood Post-Acute Rehab. We greatly appreciate the care and attention our father received while staying at Cottonwood Post-Acute Rehab. It wasn’t easy having him away from home, but the experience with the cleanliness of the facility, the courteous and friendly staff, and the pleasant atmosphere made it easier to know that he was in a good place and in good hands. Our very special thanks for the wonderful care that was given to our loved one. What a wonderful group of people that gives so much and made our experience the very best. It takes a team effort to get 5 stars and each one of the staff helped make it happen. Thank you all for getting me back on my feet again. 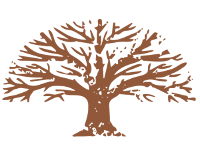 I work closely with Cottonwood and am always impressed with their helpful and friendly dispositions. As a 5-star Medicare rated skilled nursing facility, Cottonwood always goes above and beyond to assist both their patients and those they work with. I worked here from 2006-2009, and left to be a stay-at-home mom. This was a great place to work and somewhere I would have my own parents stay if ever they needed rehabilitation and the extra help between transitioning from a hospital back home. I can say that everyone from the Nurses to the Administrative Staff whole heartedly care for each patient. I remember our administrator spending time with patients whose family’s would never come visit them. He would go out and purchase slippers and jackets for a few of the patients that would be alone and in need of things. As busy as everyone was, we all did this because they weren’t just patients, we were all one big family. I remember patients being unhappy when their family would place them here, but after a week of commiserating, socializing, doing various activities with others they can relate to, they eventually enjoyed being placed here. Patients would leave and be happy to go home, but be back quickly because they realized how good we took care of them and they weren’t ready yet to make it on their own. I Highly recommend this place to anyone looking for short-term or long-term placement. Just please don’t forget about your family once your bring them here.